Reportback from Counterprotesting the Theocrat/Anti-Choice "March for Life"
On the 18th of January, pro-choice activists gathered at the Supreme Court to counterprotest the annual "March for Life" which is essentially a march for theocratic control of women's bodies. 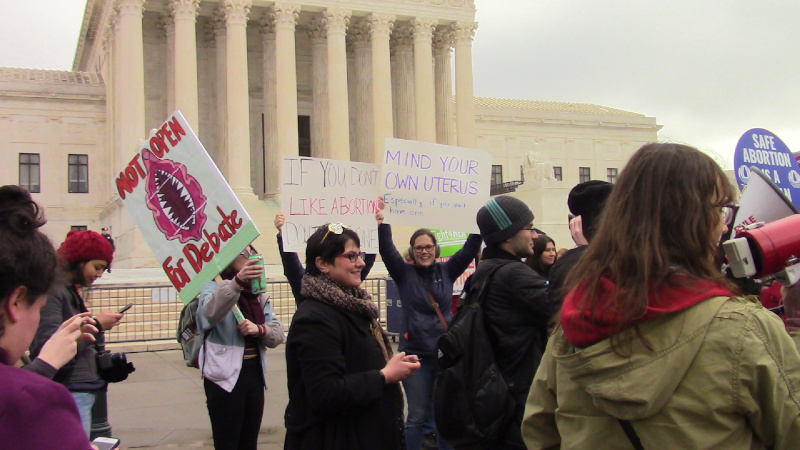 The pro-choice activists outnumbered and outmaneuvered those antichoice activists who showed up early at the Court, but things got a bit intense when the main march of seemingly every antichoice extremist in the US showed up. 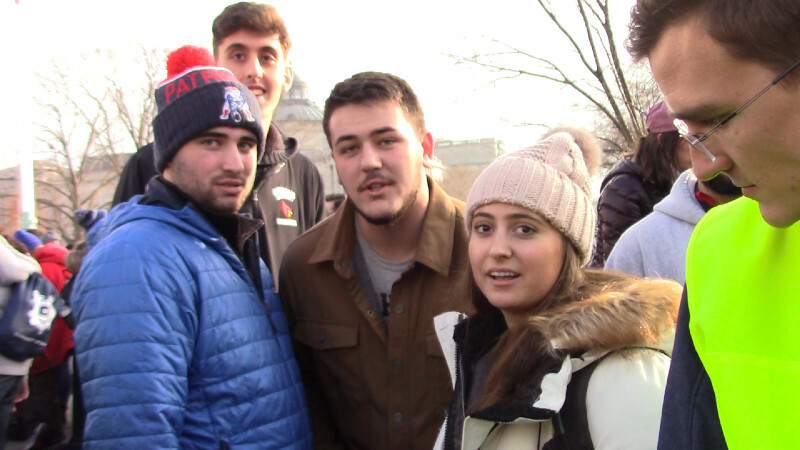 A smattering of Trump MAGA hats were present in the main antichoice march but nowhere near what one might expect. 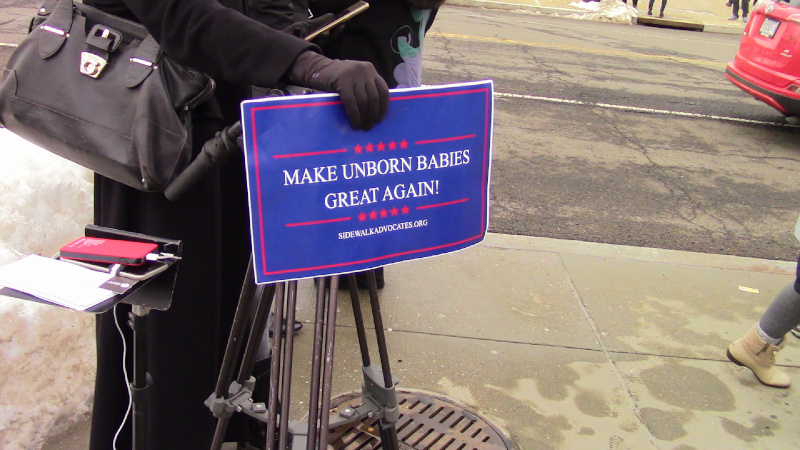 one "build a wall" sign was spotted, and the Patriot Front was reported to be undercover among the antichoice crowd distributing hate literature. Trump must not be doing to well with other elements of the GOP. 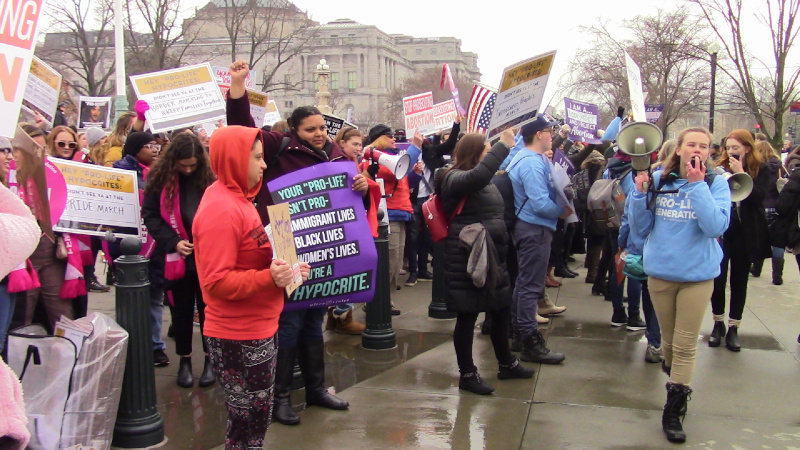 The Trump/White Nationalist wing of the GOP had a surprisingly light presence, most of the antichoice activists seeming to prefer gender and sexuality-based hate such as that peddled by the so-called "Family Research Council" or FRC. 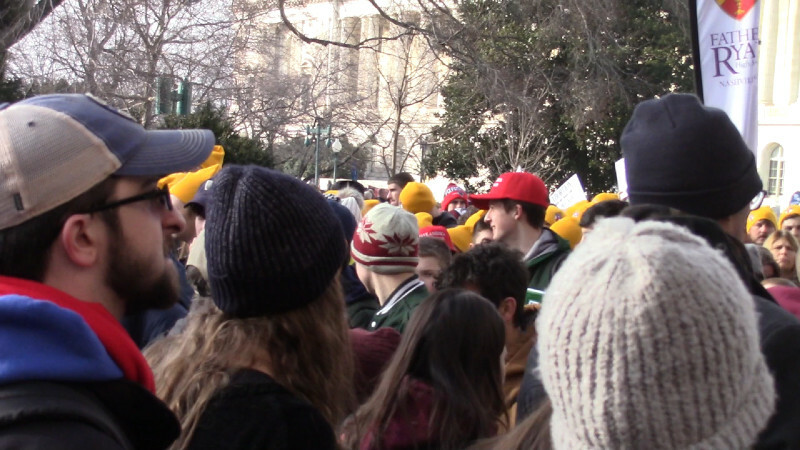 The FRC has been officially designated a hate group by the Southern Poverty Law Center. Abortion is but the thin end of the wedge for a larger agenda of banning birth control and making discrimination against GLBTQ people an officially supported state policy. Restrictions on both marriage and divorce are also often included in this agenda. Some of its supporters (notably Vice President Michael Pence) subscribe to a political theory called "Christian Dominionism" which holds that the Bible should be of equal weight to the US Constitution in determining the laws imposed by the US on Occupied Turtle Island. This agenda differs from Daesh/ISIS only in the name by which they worship their God. Even calls for executing Gay men have been heard from some of the more extreme religious extremists in the US, just as with Daesh.